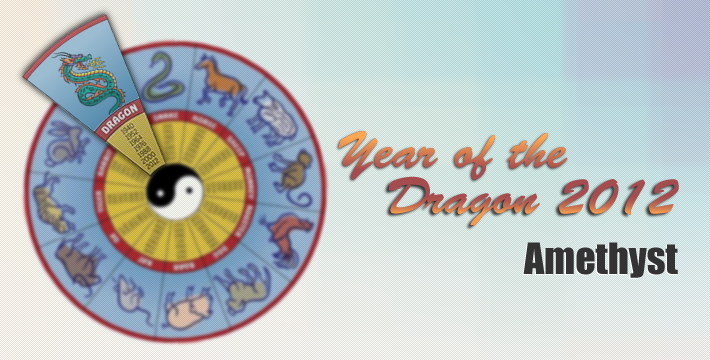 The Dragon is one of the most powerful and lucky Signs of the Chinese Zodiac. Its warm heart makes the Dragon’s brash, fiery energy far more palatable. This is a giving, intelligent and tenacious Sign that knows exactly what it wants and is determined to get it. Dragons possess a certain natural, charming charisma that ensures they can always influence their peers and often find themselves the center of attention in social situations. This Sign is truly blessed, too; Dragons are considered to be very lucky in love! The Dragon’s friends are always keen to hear what this firebrand has to say and when it comes to dispensing advice, the Dragon has the floor. Its ego can get in the Dragon’s way, but even so, this larger-than-life creature has a knack for initiating projects and keeping the troops motivated. According to Dragons, it’s their natural born right to lead the way — because who else could do it so surely and so well? As lucky as they are, Dragons have a good chance of achieving considerable material wealth during their lifetimes, although it isn’t mere money that’s this Sign’s main motivation. Power is what the Dragon wants and truly believes it deserves. Dragons are quite the opportunists, forever searching for ways in which to consolidate their considerable power. Contrary to all this strength and fire, a weakened Dragon is a sad sack, a creature that refuses to take defeat with even a modicum of grace. The role of leader is the only one the Dragon wants, the better from which to give orders and be king of the hill. They make solid leaders, too, knowing instinctively what needs to be done to stay on top. Crossing the Dragon is never a good idea — this beast can singe! A valuable life lesson for this clever creature would be to absorb the principles of flexibility, compassion and tolerance. Being high and mighty can serve to inspire others, but it also keeps Dragons from living their lives to the fullest. If Dragons can learn to balance their quest for success with an appreciation for the little things, their life will be more than worthwhile.